Empteezy spill containment and spill control products are uniquely designed to meet the exact requirements for many different applications including industrial, commercial, military, educational and hazardous area working environments. 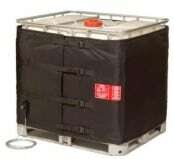 For 30 years, Empteezy have been designing and manufacturing products for the safe handling and storage of liquids from spill kits to spill pallets for the storage of drum and IBCs. Empteezy manufacture over 400 spill control, containment and prevention products from four manufacturing sites. Empteezy meet all the UK, EU and International Standards on the containment and control of liquids and are proud to be the only company in their sector to be accredited to ISO 9001, ISO 14001 & ISO 18001 International Standards. Empteezy – Drum & IBC Storage, Spill Containment & Control. Oil & Chemical Storage. Empteezy offer quality engineered solutions that meet legislation requirements and help to maintain best practices for storing oil and chemicals in a range of different industries. Empteezy have developed a range of chemical stores suitable for storing flammable liquids including solvents, lubricants and paints. The Chemstor range of secure chemical stores allow the user to keep leaks, spills and pollution problems to a minimum as they can control and manage stock safely. Chemstor storage units are available in different sizes subject to how many 25L drums or chemical cans can be safely stored on the bunded flooring or shelves and also have walk in stores as well as standard units. The chemical store units are constructed with mild steel and are supplied with a fully seam welded sump to keep leaks and spills to a minimum. The sumps are compliant with the 25% of the total of the containers stored rule. Natural ventilation is provided with both high and low vents with flame arrester protection. Why Correct Site Storage is important? Poor storage of liquids can have a devastating affect on your business and it’s surrounding area. Following the Oil Storage Regulations is a legal requirement and can help to eradicate the potential hazards to the health, safety and environment. Empteezy’s products help to reduce the risk the of a pollution incident by offering a range of spill containment equipment such as spill pallets for drum & IBC, sump flooring, bunded stores (drum, IBC and contamination), gas cylinder stores and indoor & outdoor chemical stores. 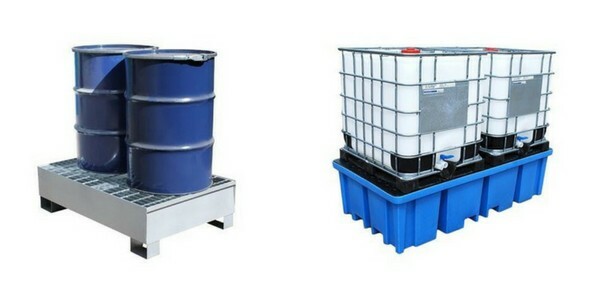 Ensuring the correct product is selected well help to offer maximum protection for instance using plastic spill pallets for indoor applications, double skinned storage tanks for bulk liquids and using bunded drum and IBC stores that are suitable for outside use thanks to the addition of fully seam welded sumps. Identify the liquids what exactly will be stored? What are the risks if any attached to the liquids in question e.g risk of explosion, fire etc? Do any of the liquids need to be stored apart? 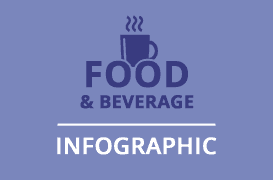 How many litres of each product do you want to store? How are you planning to storing? Bulk store or by using drums or IBC’s? Outside or indoor storage for the liquids? If indoor are they any problems with entering the location? If outside is there any chance of pollutants affecting the storage e.g drains or a water course in the area? How will the liquids be delivered to site? How will they be moved around the site? Founded in 1986, Empteezy continue to develop and manufacture drum/IBC stores for oils and chemicals, spill trays and drum/IBC spill pallets that meet the latest legislation on the control and containment of liquids.